The misdeeds of Victorian serial killer, Jack the Ripper, feature in all tales of London’s dark past. Learn the truth behind the mystery, and enjoy some nerve-settling ales, on a 2-hour evening Jack the Ripper historic pub tour. 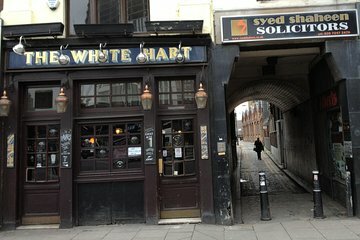 With your guide, you’ll visit up to four London pubs linked to the gruesome murders of Jack the Ripper, stopping at each to purchase drinks at your own expense. Small-group tour limited to 15 people.